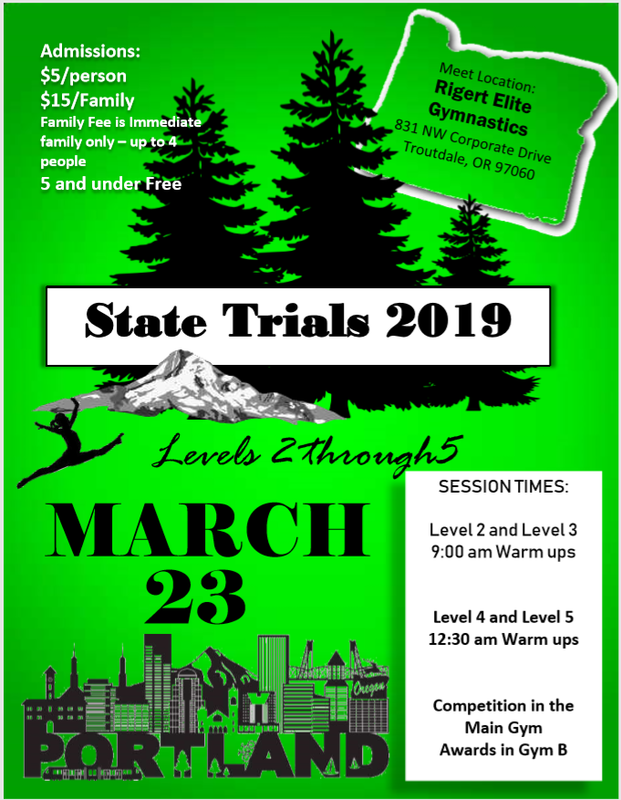 No Open Gym Friday or Saturday Night, March 22nd and March 23rd due to our home meet, State Trials 2019. Come watch our compulsory team kids compete in our own gym this weekend! !